The CHN blogger has been out and about recently looking around the Civic Park precinct of Newcastle in the Laman and Auckland Street quarters. Newcastle is a city of contrasts starting out as a penal settlement in 1801 known as King’s Town and now a thriving port with one of the world’s largest coal loaders, located in one of the world’s busiest coal loading ports. Yet hidden amongst former warehouses and port facilities are some architectural delights in the city centre. Just to prove that what is old is new again in Hunter Street, the city centre’s main roadway spine, that are trams again after an absence of over 60 years. The city has escaped the high-rise buildings which are the way of Sydney and Melbourne so far because former coal mines undermine the city centre and have provided challenges for modern development. The city of Newcastle has a number of buildings that are influenced by modernism, some from the interwar period while there others from the mid-20th century. The CHN blogger’s eyes by capture by a number of architectural gems starting with the War Memorial Cultural Centre which houses the city library, then NESCA House, Northumberland House and the façade of the former Salvation Army Men’s Hostel building at the corner Auckland and Gibson Streets, all now part of the University of Newcastle. What is Camden’s heritage, does it really matter and what does it mean? Such a pretty tree-lined streetscape, full of old-world charm. I’ve often stood at that green paddock next to the church, with its views across the valley… locals are up in arms as online rumours swirl about moves by the church to sell the land…Right next to Camden’s most famous heritage landmark, an 1840s gem described by one government website as “a major edifice in the history of Australian architecture”. In May 2017 the views of Wollondilly Councillor Banasik on heritage were reported in the Camden Narellan Advertiser by journalist Ashleigh Tullis with respect to greater urban development at Menangle. Cr Banasik said this development opposed the shire’s ethos of rural living. The heritage of the area is amazing – there is Camden Park, Gilbulla, Menangle Store and the rotolactor site,” he said. This development just ain’t rural living. Journalist Kayla Osborne reported the views of town planning consultant Graham Pascoe on heritage and the Vella family’s new commercial horticulture venture at Elderslie in the Camden Narellan Advertiser in May. Mr Pascoe said the heritage nature of the site and its proximity to Camden had been well-considered by the Vella family…the land was ideal for farm use…the land has been farmed in the past…We believe we will provide a model…farm at the entrance to the Camden town centre. The views on heritage expressed in these stories do not actually define heritage. There is an assumption or a presumption that the reader understands the intended meaning of the word heritage in each of these contexts. So what was the intended meaning of the word heritage in each of these articles? To answer that question another must be asked: What is Camden’s heritage? Heritage should not be confused with history. History seeks to convince by truth… Heritage exaggerates and omits, candidly invents and frankly forgets, and thrives on ignorance and error… Prejudiced pride in the past… is its essential aim. Heritage attests our identity and affirms our worth. The word ‘history’ comes from the Latin word ‘historia’, which means ‘inquiry’, or ‘knowledge gained by investigation’. History tells the stories of the past about people, places and events. History is about what has changed and what has stayed the same. History provides the context for those people, places and events. History is about understanding, analysing and interpreting the past based on evidence. As new evidence is produced there is a re-examination and re-interpreting of the past. History is about understanding the why about the past. The meaning of heritage is not fixed and historian Graeme Davison maintains that the history of the word heritage has changed over the decades. Initially heritage referred to what was handed down from one generation to the next and could include property, traditions, celebrations, commemorations, myths and stories, and memories. These were linked to familial and kinship groups, particularly in traditional societies, through folkways and folklore. In the 19th century the creation of the nation-state, capitalism and modernism led to the creation of national myths, national stories and national heritage. ln the 1970s, the new usage was officially recognised. A UNESCO Committee for the Protection of World Cultural and Natural Heritage adopted the term ‘heritage’ as a shorthand for both the ‘built and natural remnants of the past’. inherited customs, beliefs and institutions held in common by a nation or community’ and more recently has expanded to include ‘natural and ‘built’ landscapes, buildings and environments. those places, buildings, works, relics, moveable objects, and precincts, of state or local heritage significance. Heritage can be categorized in a binary fashion: cultural heritage/natural heritage; tangible heritage/intangible heritage; my heritage/your heritage; my heritage/our heritage. What is significant about Camden’s heritage? In 2016 the Camden Resident Action Group attempted to have the Camden town centre listed on the state heritage register. The group obtained statements of support which outlined the significance Camden’s heritage. Statements of support were from Dr Ian Willis (UOW), Associate Professor Grace Karskens (UNSW) and Emeritus Professor Alan Atkinson. A statement of significance by Dr Ian Willis 2016. 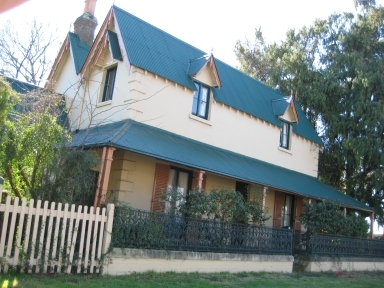 A 2010 meeting of Camden Council on Sydney’s southern outskirts voted five to four to demolish a simple 1890 Federation farm cottage known as Carinya at Harrington Park. The owner, Nepean Pastoral Company, wants to develop a 97-residential lot subdivision on the farm site. The decision illustrates a wider malaise that has enveloped heritage in this state — a worrying trend that is seeing our past disappear. Camden Council’s decision to approve Carinya’s demolition was based on reports written by heritage consultants, Urbis. Urbis stated that, while the cottage was intact and in reasonable condition, it was not of local significance. In their view Federation cottages, while rare in the Narellan area, are not rare in the Camden local government area (LGA). Secondly, Carinya has little associative value with the Cross and Paxton families who lived there. Many people do agree with these conclusions. 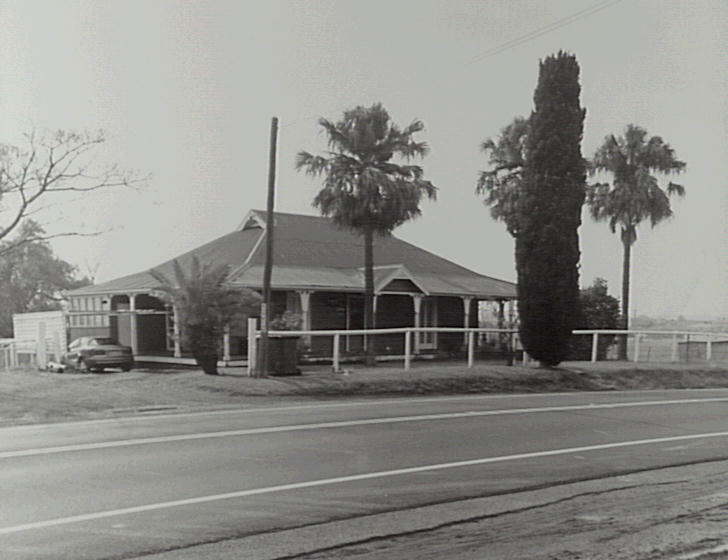 In the past Carinya has been overlooked in heritage surveys of the Camden LGA and had not been included on any local lists of historic houses. While not a reason for demolition, it is a contributing factor. Jonathon Chancellor noted recently in a story on the fight to save the Tilba residence in Burwood Heights that many councils had “neglectful heritage lists” and included Camden. Even more damming, ”heritage listing at the local level does not provide much protection at all”, wrote Graeme Aplin, from Macquarie University, in Australian Quarterly (May-June 2009). ”What we have witnessed over the last five years is the systematic dismantling of heritage protection,” stated Sylvia Hale, Greens spokeswoman on planning (”Heritage at risk”, National Trust Magazine, February-April 2010). More than this the imminent loss of Carinya reflects wider problems in heritage affairs across New South Wales. There is a blatant disregard of the importance of simple cottages of historic value especially at a local level. They represent the lives of ordinary folk. Simple salt of the earth people who struggled to make a living from the soil. The story of Carinya fits within the Australian Historic Themes identified by the Australian Government (Australian Heritage Commission 2001). These are common national standards for idenfication and conservation of heritage places. Yet this does not qualify Carinya for recognition of local significance. 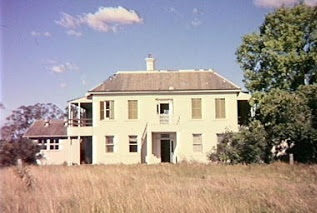 Even examples of Australia’s important early colonial houses on Sydney’s urban fringe, which are of national significance, such as like Oran Park House and Maryland suffer from indecision and dithering by the authorities. There is a real, or at least a perceived, conflict of interest for some by heritage consultants in the assessment process. Consultants are a gun for hire. There needs to be a separation of roles in the assessment process of historic houses. The judgment concerning the assessment of significance should be conducted by an independent third party. Heritage consultants should not be judge, jury and hangman. There is a need for due diligence. The assessment process needs the expertise of professional historians to examine the appropriate historical evidence. There were no historians engaged in the assessment process of Carinya. Urbis has largely relied on a cursory examination of documents at the local library and museum. Council planning and development officers are under incredible pressure to meet timely decisions for development applications. This particularly applies in the Camden LGA, which is a designated growth area for Sydney. Council officers and their elected councilors rely on reports written by heritage consultants. Officers and councilors may have had little or no specific training assessing heritage significance, local or otherwise. They are not experts in history and heritage. One of the casualties in the assessment process is the thorough and considered assessment of historic houses. The current political climate in NSW is not conducive to the protection of historic houses. Heritage is not a high priority. Crowded Sydney and a shortfall in housing stock are political priorities. For this read new estates on the urban fringe, like the approved Carinya farm subdivision. The developers of Carinya farm housing estate are selling a dream that is just that, a dream. The new estates create a bland homogenised suburban streetscape with little charm or character. The Carinya farm sub-division is part of Sydney’s urbanisation. An octopus that devours all in its path — including ethical standards, community identity, sense of place and apparently local heritage and history. The destruction of simple charming 19th century cottages is unnecessary. There is a demand from house buyers who want to live in historic cottages. These buyers restore the cottages to their former glory. What have we come to in the new century? We have certainly not come to appreciate our past, our inheritance. In October 2016 historian and author Dr Ian Willis addressed a Council Council general meeting. He spoke in support of a motion proposed by Councillor Cagney for the formation of a heritage protection sub-committee. I would like to thank the councillors for the opportunity to address the meeting this evening. I would like to speak in support of the motion put by Councillor Cagney. I think that a section 355 sub-committee on Heritage Protection is long over due in the Camden Local Government Area. A panel of councillors, experts and community members could give sound and constructive advice to Camden Council on local issues of substance related to local heritage. This could contribute to the Council’s knowledge of heritage matters within the community. The proposed Heritage Protection sub-committee could allow stakeholders a platform to voice their concerns around any proposed development that effected any issues concerning heritage in the Local Government Area. The proposed Heritage Protection sub-committee could seek the view of external experts on contentious heritage matters within the Local Government Area. The proposed sub-committee could provide considered advice to Council on matters of heritage concern to the community. Perhaps provide more light that heat on matters of community concern. Such advice might lower the noise levels around proposed development around heritage issues that have arisen in recent months. In 2010 I wrote an article that appeared in Fairfax Media which I called ‘Heritage, a dismal state of affairs’. It was in response to an article by journalist Jonathan Chancellor about the neglected state of Camden’s heritage lists. In the article I quoted Sylvia Hales view expressed in the National Trust Magazine that in New South Wales there had been ‘the systematic dismantling of heritage protection’ over the past five years. I also quoted the view of Macquarie University geographer Graeme Alpin who wrote in Australian Quarterly that ‘heritage listing at the local level does not provide much protection at all’’. The current political climate in NSW is not conducive to the protection of historic houses. Heritage is not a high priority. Six years later I have not changed my view. The proposed sub-committee could give greater prominence to the Camden Heritage Inventory, similar to Campbelltown Council and Wollondilly Council. In 2015 I wrote a post on my blog that I called ‘Camden Mysterious Heritage List’ in frustration after spending a great deal of time and effort trying to find the heritage inventory on the Council’s website. It is still difficult to find. In conclusion, the proposed Heritage Protection sub-committee would be a valuable source of advice for council and provide a platform for the community to express their view around heritage issues. Camden-Narellan Advertiser 2 June 2017, p.16. Macarthur Chronicle Camden Wollondilly Edition, 16 May 2017, p18. There is a crying need for a local Camden Residential Heritage Style Guide. Why do other Local Government Areas in Australia have a Residential Style Guide for their heritage housing styles but Camden does not. Camden is one of Australia’s most historic localities and yet newcomers and locals have to guess what is an historically accurate guide to residential housing styles. The new Camden Region Economic Taskforce (CRET) is an opportunity to promote the historic and heritage nature of the local area. The Taskforce promotional material states that Camden LGA has a ‘unique history’ and that the aim of the CRET is to maintain ‘Camden’s unique historic heritage and natural environment’. This is an opportunity to the see if Camden Council is prepared to back its words with action. One easy way to do this would be to draw up a Residential Heritage Style Guide for the Local Government Area. Camden heritage is a tourism drawcard to the local area. It creates jobs and business opportunities. creating the right environment to support the growth of business and industry (both existing and future). Houses are an integral part of our daily lives. We live in them and take them for granted. But they are more than this. A house is an historical statement of its time. As history changes so does the type of housing. The CRET publicity states that the Camden LGA is a ‘rapidly growing area’ and is subject to change in the form of ‘rapid commercial and industrial development’ and there needs to be an understanding, according to the CRET, of ‘our unique heritage’. Anyone with enquiries about the taskforce can contact Council on 4654 7777 or email: CRET@Camden.nsw.gov.au. 6. Post – War Period c. 1940 – c. 1960. 8. Twenty –First Century c. 2000 – present. The Camden Local Government Area has residential buildings from most of these time periods. The housing style of a particular location in the Camden or Narellan area gives the place a definite character and a certain charm. It is what makes a place special and gives it a sense of its own identity (Inter-war period along Menangle Road). The housing style will give the place its special qualities. The houses are a reflection of the times in which they were built. The style is an indicator of the historical activities that have gone on in that area. It is a statement on changing tastes, lifestyles, social attitudes, cultural mores, and a host of other factors (Inter-war cottages in Elizabeth Street and the use of colour glass in lead-light windows or the appearance of garages for the new motor cars of the day). The housing style may be complemented by a garden and landscaping that reflected the tastes and lifestyles of the occupants of the building. Even gardens go through fashion trends (English style gardens or native gardens). The housing style says a lot about the occupants. 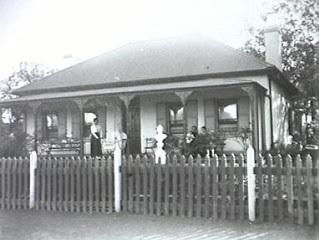 Whether they were landed gentry who owned one of the large estates in the area (Camden Park House, Brownlow Hill, Denbigh) or ordinary farmers who were making a living from a patch of ground (simple Federation weatherboard cottages like Yamba cottage in Narellan or the Duesbury family in Elizabeth Street or Hillview in Lodges Road). Camden has been remote from the urban influences that drove the high forms of these architectural styles. But local people adapted the style to suit their particular purpose (simple Federation brick or timber farm cottages like in the Struggletown complex or Barsden Street). Sometimes they created their own vernacular style that used local materials. Some of these styles have more examples in the Camden area than others. This reflects the economic prosperity in the history of the area. The Inter-war period is one of these times. Between 1915 and 1940 the town grew based on the wealth generated by dairying and later coal. There are quite a number of inter-war buildings in Camden (Californian bungalows in Menangle Road and Murray Street). 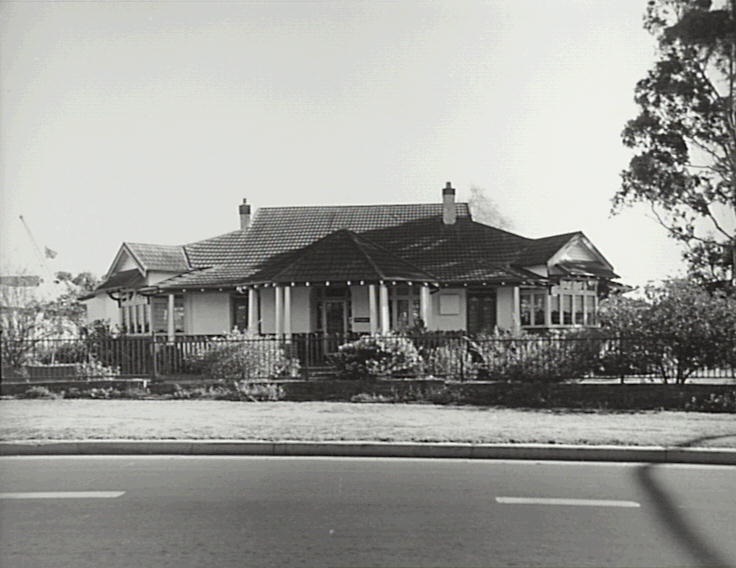 The post-war period of housing construction in Camden in Macquarie Avenue and along the Old Hume Highway was driven by the economic activities surrounding the mining of coal in the Burragorang Valley. Each housing style illustrates cultural influences from Great Britain in the Victorian style or from the United States in the Inter-war period in the Californian Bungalow and the Ranch style in the post-war period. The local housing stock shows the skills and expertise of local builders, such as Harry Willis or Walter Furner who constructed many of the Inter-war housing stock. Ephraim Cross who supplied brick for some of the Federation style cottages in the area or James English in the 1940s or Ron McMIllan in the 1950s and 1960s. Each period represents the modern and progressive ideas of its time. Each housing style is a representation of the hopes and aspirations of those who built the houses. Just as Oran Park housing developments are representative of the late 21th century so Harrington Park and Mt Annan are representative of the late 20th century. They have been driven by the urban expansion of the Sydney area. Within each of the major time periods there are a number of sub-divisions. There are around five major styles within the Inter-war period, such as the Californian bungalow (West coast USA influence) or the Art Deco (European influences). The post-war period has around six style divisions ranging from the austerity (which reflected the lack of availability of building materials and labour following WW2) to ranch style (which illustrated the post-war influences from West coast American and Californian housing styles). Camden needs a Residential Heritage Style Guide to consolidate all these factors and influences in the Local Government Area. The New South Wales seaside community of Moruya has a wonderful document called the MORUYA RESIDENTIAL STYLE GUIDE. In South Australia the inner Adelaide City of Unley’ has a document called Appreciating Heritage and Character Dwellings Design Guide 1 . In Queensland the Toowoomba Region Council has a series of guides for heritage properties covering Victorian, Edwardian and Inter-war houses. Camden Local Government Area has examples of housing stock that corresponds with each of these housing styles. What is wrong with Camden Council on this matter? Beulah is an historic farm property on Sydney south-west rural-urban fringe. Beulah has a frontage to Sydney’s notorious Appin Road and is an area of Sydney’s ever increasing urban sprawl. The property is caught in a pincer movement between two new land releases at Appin and Mount Gilead. These developments threaten to strangle the life out of Beulah is a vast sea of homogenised suburbia by swallowing up local farmland. In 2015 NSW Planning Minister Stokes declared that Sydney’s ‘urban sprawl is over’ with the land release for 35,000 new homes at Mount Gilead, Wilton and Menangle Park. On the other hand planning Professor Peter Phibbs, from the University of Sydney, stated that the land release meant that there was ‘urban sprawl plus’. Needless to say these sentiments are not new and were expressed in the Macarthur region in 1973, meanwhile urban sprawl continues. Beulah is a heritage gem and possesses stories about local identities and events that add to a sense of place and construction of a local identity. Beulah was purchased by the Sydney Living Museums in 2010 as part of its endangered houses fund project. The Beulah estate is located on the eastern edge of the clay soils of the Cumberland Plain abutting the Sydney sandstone of the Georges River catchment. The property contains an 1830s stone farm cottage with a number of out-buildings, a stone bridge and 60 hectares of critically endangered woodland. Beulah’s sense of place is constructed around stories associated with the Campbelltown’s pioneering Hume family best known for Hamilton Hume and his overland journey to the Port Phillip area in 1824-1825 with William Hovell. Hamilton Hume was granted 300 acres at Appin for this work, which he named ‘Brookdale’, and in 1824 the Hume and Hovell expedition to Port Phillip left from this property on the Appin Road north of the village, near where the Hume and Hovell Monument now stands. The Hume Monument was erected in 1924 by the Royal Australian Historical Society to commemorate Hume’s 1824 expedition. 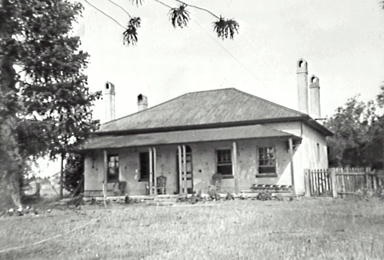 The earliest European occupation of the Beulah site, according to Megan Martin from Sydney Living Museums, were emancipated Irish convict Connor Bland who constructed the farm cottage around 1835-1836. Boland put the property up for sale in 1836 and called it Summerhill. The Hume family purchased the property in 1846 and then leased it out. In 1884 the property was renamed Beulah and members of the Hume family lived there until 1936 when it was left to the RSPCA while Hume family associates were given occupancy rights and lived in the house until the 1960s. 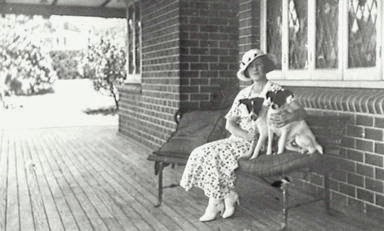 Ellen Hume and Beulah were featured in “The Australian Home Beautiful” in 1934 in an article by Nora Cooper, photographs by Harold Cazneaux and descriptions of Hume family furniture. The forest which Miss Hume treated as a private sanctuary The Hume Sanctuary received special attention. It was Ellen’s wish that her trees be left to the nation…. The Beulah estate was purchased by developers in the 1970s who anticipated land re-zoning linked with the 1973 New Cities Structure Plan for Campbelltown, Appin and Camden. The state government released the New Cities Plan as part of the 1968 Sydney Region Outline Plan. The plan was based on the utopian dream of British New Towns like Milton Keynes and plans for the development of Canberra. Some of the new Campbelltown suburbs that appeared in the 1970s followed the Radburn model developed in the United States, which had houses facing a shared green space with no back fences. They turned out to be a disaster and the state government has spent hundreds of millions of dollars reversing these houses so they face the street in suburbs like Macquarie Fields, Minto and Ambarvale. The original New Cities Plan turned into a developers dream and created the notion of ‘Ugly Campbelltown’ in the Sydney press by the end of the 1970s around public housing . Camden and Appin escaped the worst of the housing releases of the 1970s. Sydney’s urban sprawl reached the Camden LGA in the 1980s at Mount Annan and Currans Hill, while Appin has only seen extensive land releases in recent years. The 1973 Macarthur Growth Centre failed to materialise in its planned form and in the process cannibalised Campbelltown’s main street and left it a shell of its former country town self. In 1973 the State Planning Authority, according to the State Heritage Inventory, conducted a survey of significant 19th buildings in 1973 and identified Beulah and Humewood as significant. The National Trust of Australia (NSW) did a study on the property and classified it in 1980. 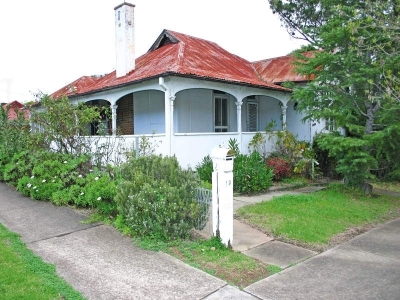 In 1983 Campbelltown City Council proposed an interim conservation order and a permanent conservation order was placed on the 19th century cottage in 1987. 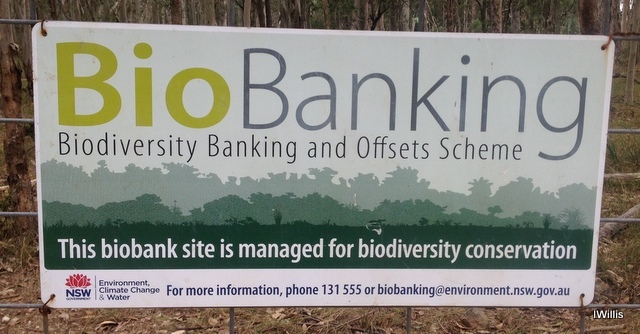 The owners were ordered to make repairs to the property in the early 2000s, and the in 2010 the NSW Office of Heritage and Environment acquired the property as part of the state government’s Biodiversity Offset program. The State Heritage Inventory considers the estate to an important example of early conservation planning that resulted in the retention of an ‘entire cultural landscape’ containing a homestead group, stone bridge and garden layout. Sydney Living Museums have undertaken considerable conservation and restoration work on the farmhouse and the stone bridge on the access road to the farm house. Beulah and its heritage curtilage is potentially threatened by Sydney’s urban sprawl with new land releases in 2013 at Appin to the south along the Appin Road, while to the north there is the Mount Gilead land release adjacent to Campbelltown’s southern suburbs. Both of these land releases are a repeat of the 1973 housing releases. They are low density horizontal developments that add to urban sprawl. They are problematic and fail to add to the existing identity of the area and take decades to develop their own sense of place. The urban sprawl that is encroaching on Beulah from the south is part of the NSW State Governments 2013 The Metropolitan Strategy for Sydney to 2031. A structure plan developed for the Appin area states that there will 18,300 housing lots release over a 25 year period from around 17,000 hectares. Walker Corporation stated that there is a strong demand for new housing releases in the Appin area and in 2013 26 lots were sold within 2 days of the June land release. There low density houses were similar to in nature to the planned housing developments of 1973 that failed to eventuate. On the northern approaches to Beulah are the Mount Gilead land releases on a property formerly owned by Lady Dorothy Macarthur Onslow who died in 2013. Mount Gilead is proposed to have 1700 housing lots from 210 hectares which Campbelltown City Council endorsed in 2012. The property contains the historic tower-mill believed the last one in New South Wales along with a homestead, stone stable, and granary dating from the early 19th century. The issue of urban sprawl is complicated by the inadequate road access. Beulah and the Appin and Mount Gilead land releases all front the Appin Road one of Sydney’s most dangerous stretches of road. A major unresolved issue in the area around Beulah and land releases at Appin and Mount Gilead is the upgrading of the Appin Road. The Sydney Morning Herald stated in early 2016 that the Appin Road was Sydney’s deadliest road. Between 2015 and 2000 23 people were killed on the Appin Road with the latest fatality in January 2016. While the state government has plans for road improvements this will take a number of years meanwhile there is increased traffic generated by new land releases and general population growth of the Campbelltown area. The Appin Road has always been an important access route between the Illawarra and the Campbelltown area. Before the South Coast railway was extended to Wollongong in 1887 the Appin Road was used as the main access route to the Main Southern Railway at Campbelltown, which opened in 1858. There was a daily coaching service running between Campbelltown Railway Station and Wollongong. There is still is daily coach service between Campbelltown and the Illawarra via Appin, although tese days it mainly caters to university students. The poor state of the Appin Road is just one of the issues created by Sydney’s urban sprawl. Other issues include fire risks, urban runoff and food security, public transport, waste, water supply, loss of prime farm land, community facilities, pollution, energy, social cohesion, and equity challenges. Beulah is part of story of the Sydney’s rural urban fringe which has been a landscape of hope and loss for new arrivals and local alike. It will be interesting to see the part this important heritage asset plays in this narrative and how the construction of sense will effect new residents surrounding it. In 2019 Sydney historian Stephen Gapps has written about the defensive structures in buildings in the Appin area including Beulah. These buildings were part of the colonial frontier of New South Wales where there were violent clashes between Europeans and Indigenous people. There is evidence that rifle slits and gun loops were were of the colonial architecture at Beulah and the Vines near Appin. Alan Gilpin, An Inquiry pursuant to Section 41 of the Heritage Act 1977 into objections to the making of a permanent conservation order in respect of the buildings and site known as “Beulah”, Appin Road, Appin. Sydney : Office of the Commissioners of Inquiry for Environment and Planning, 1987. Kimberley Kaines, ‘Call for more details on Mt Gilead development’, Macarthur Chronicle, 19 February 2015. Campbelltown and surrounding areas have lost much in the way of their local heritage. Does anyone care and more to the point does anyone notice? Heritage is what the community considers of value at present and is worthy of handing on to the next generation. It is a moveable feast and changes over time. What is important to one section of the community is of no value to another. And so it is with different generations of the one community. Many regret the loss of building from the past yet there were others who did not miss any of these buildings. This story clearly illustrates this trend. The loss of Campbelltown’s heritage is part of the story of the urban growth of the town and surrounding area. Starting with the 1948 Cumberland Plan then the 1968 Sydney Region Outline Plan of which 1973 New Cities Structure Plan was a part. These plans set a path for a growing community and generated hope for some and loss for others. Campbelltown like other communities has gone through loss and renewal, and some are only interested in the new. Yet the need and yearning for a clear view of the past is part of the human condition where people need to honor and respect their ancestors and what did and did not achieve. Andrew Allen has started to detail the loss of Campbelltown heritage buildings that coincided with a period of incredible urban growth the Campbelltown LGA in his history blog The History Buff. This blog post details just some of the buildings that have been lost. There have been many others as well. Retailing in Campbelltown has changed over the decades. There has been a transition from the family store to the mega-malls of today. One family store was Marlow’s Drapery Store. The demolition one quiet Sunday morning in 1981 of an old curiosity shop divided Campbelltown. The shop was built in 1840 and was once owned by former mayor C.J. Marlow who used it as a drapery. It stood between Dredge’s Cottage and the old fire station and Town Hall Theatre.The last owner of the building was Gladys Taylor. In 1816 Governor Macquarie gave a grant of 140 acres to Joseph Phelps who sold it to William Bradbury the following year. Bradbury Park House was built on this land in 1822.The house was located about 140 metres opposite where the town hall is located in Queen Street. Unfortunately Bradbury Park House was demolished in 1954. 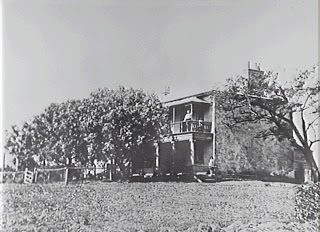 Leumeah House at 2 Queen St, Campbelltown (cnr Queen Street and Campbelltown Road) was constructed in 1826. The house was owned by the Fowler family for many years and Eliza Fowler lived there in the 1880s after marrying Joseph Rudd. John Warby was given a 260 acre land grant in 1816 which he called Leumeah. His house was demolished in 1963, but his old stable and barn still exist. Part of the site is now known as Leumeah Stables also known as Warby’s Barn and Stable which were constructed around 1816. 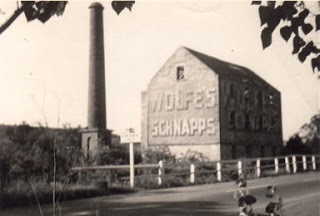 Just south of the original Woodbine homestead, and adjacent to the old Sydney Road (since renamed Hollylea Road) there once stood an imposing landmark, Keighran’s Mill. John Keighran purchased the site in 1844 and in 1855 built the mill on the banks of Bow Bowing Creek. Percy Payten was the last member of the Payten family to own the mill. In 1954 he offered the mill to the Campbelltown and Airds Historical Society. The historical society also didn’t have enough funds at the time for its restoration. In 1962 the mill was dismantled and the stone was used in the building of the RAE Memorial Chapel at the School of Military Engineering at Moorebank, which opened in 1968. 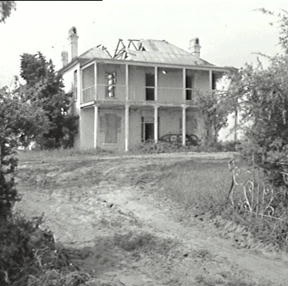 While James Payten was living at Leppington Hall in 1873, he bought Woodbine – the remains of John Scarr’s early farmhouse – as a new family home.The homestead stood on Campbelltown Road (Sydney Road), just north of the bridge, which crosses the railway line. James Payten and his wife, Sarah (nee) Rose, shared their home with her brother, Alfred Rose and his family. Rose died in 1951 and her aging Woodbine cottage was demolished in the 1960’s. 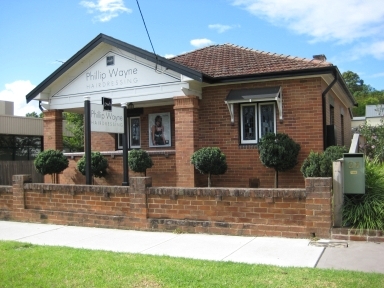 Some of the buildings that have been lost in Campbelltown have religious connections. One those is Ivy Cottage. Local storekeeper William Gilchrist purchased land in Allman Street and built Ivy Cottage on it for his brother, Rev. Hugh Gilchrist, a Presbyterian minister appointed in 1838 to take charge of Campbelltown and many other surrounding towns. The cottage became the Presbyterian Manse and served as such until about 1882. The cottage was demolished in the 1960s. The Engadine was built in 1924 by Minto grazier Kelvin Cuthell and designed by local architect A.W.M. Mowle. 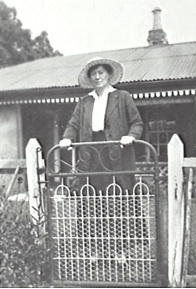 Mowle lived at the family farm of Mount Drummond at Minto. He enlisted in the Australian Flying Corps in 1915 with the rank of Lieutenant and returned in 1918. In the 1920s he lived in 44 Wentworth Road, Burwood. 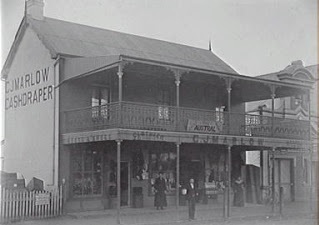 In 1926 he supervised renovations, additions and painting of a weatherboard cottage in Campbelltown and in 1929 supervised the construction of shop and residence (SMH). Kelvin Cuthell married Daphne Woodhouse in 1924 and moved into The Engadine. Kelvin Cuthel died in 1930 and after Daphne died in 1945, her sister Iris moved into the house, remaining there until her death in the 1970s. The house was demolished in 2012. Built in 1882 by hotelier David Warby. By 1909 it was owned by Thomas Hilder, manager of the silver mines at Yerranderie in the Burragorang Valley. Later this century it fell into disrepair and the owner, Campbelltown Council, demolished it in 1992 after being unable to secure a financial offer for the building. Marie Holmes writes that she believed the house to be built in the 1860s. Samuel Humphreys purchased two lots of land from William Fowler in 1882 which included the land and house. 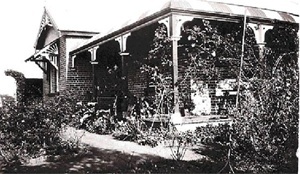 The house was in the hands of the Bursill family for much of the 20th century. In 1970 the property was sold to the State Planning Authority who in turn transferred it to the Housing Commission for the development of Claymore suburb. The house was left vacant, fell into disrepair and was damaged by fire in the mid 1970s. It was demolished in the late 1970s. 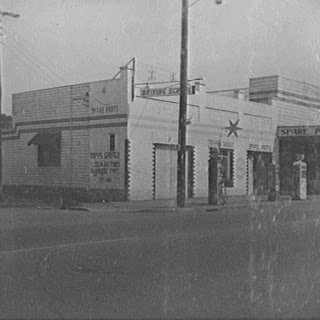 Charles Tripp operatted the Silver Star Garage on the corner of Queen and Dumaresq Streets, Campbelltown. The Tripp family operated a variety of businesses on the site. In the 1880s there was a blacksmith and wheelwright shop, hired horses and sulkies and operated a mail coach. After the First World War the business changed to sell and service motorbikes, and later serviced motor cars and sold petrol. In the 1920s he sold radios and broadcast radio programmes from the store. The garage was still operating commercially in the 1940s. The premises were demolished in 1966. Hotels are an ancient institution offering hospitality for the traveller. They provided comfort and shelter, a place to do business, a place to create wealth, a meeting place and a place to rest. In the past they have provided warmth, safety and a good meal from the elements. Hotels in Campbelltown did all of this and their loss has been a tragedy to many from the local community. Some of the hotels that are no longer with us include these listed here. The Royal Hotel was originally known as the Cumberland Hotel in the 1880s and became the Royal Hotel in the 1890s. Between 1899 and 1905 the licencee was Thomas F Hogan. Between the 1920s and the 1970s the premises were owned by Tooth & Co. 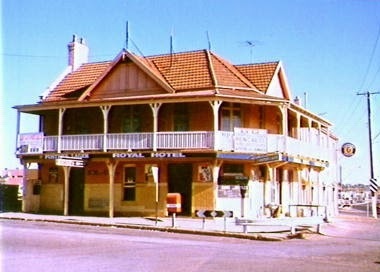 The Royal Hotel was demolished in 1986 and suffered the fate of many heritage icons in Campbelltown and elsewhere. The hotel was demolished in the pre-dawn hours of Sunday morning July 6, 1986. Newspaper reports described how at 5.30am council workmen first set up safety barriers around the hotel. By 6am a massive Hitachi caterpillar-tracked back hoe commenced clawing the building down and by evening most of the remains had been removed from the site. Council needed to widen Hurley Street and unfortunately the Royal Hotel was in the way of this. Lacks Hotel was located on the corner of Queen and Railway Streets and over the years was part of the complete re-development of Railway Street. Built by Daniel Cooper in 1830 as the Forbes Hotel, in 1901 it was refurbished and renamed the Federal Hotel. The license was transferred to Herb Lack in 1929 and it became Lack’s Hotel. After Herb’s death in 1956, his son-in-law and daughter Guy and Tib Marsden took over. 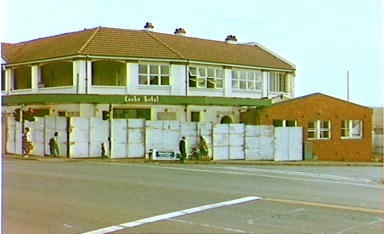 Lack’s Hotel was demolished in 1984. A modern commercial building including a modern tavern now take its place. Hotels continued to disappear from the Campbelltown town centre. The buildings might still exist but they changed to other uses for other purposes. One of those was the Jolly Miller Hotel. The Jolly Miller Hotel was built in the late 1840s at the southern end of Queen Street opposite Kendall’s Mill. The hotel was opened by George Fieldhouse who had followed his convict father to New South Wales in 1828. 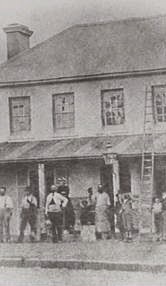 George’s two sons William and Edwin Hallett opened a general store next to the hotel in 1853. This building, which later became the offices for the Campbelltown and Ingleburn News, is still standing opposite McDonald’s restaurant in Queen Street. Campbelltown continues to grow and renew. Some of that renewal is high quality and other parts of it will disappear with time and be completely forgotten. A clear view of the past is necessary to understand the present. It provides a perspective to life and the human condition. People have a yearning for their story to be told by those who come after them. They want to be remembered and want to leave a legacy. This blog post is part of the Campbelltown story and is attempting to tell Campbelltown’s past. The Campbelltown and Airds Historical Society has published a book of Lost Campbelltown (2018). The author of this great read is The History Buff blogger Andrew Allen who gives an excellent account of the built heritage that has been lost in the Campbelltown area. The book is 99 pages in full colour in an A4 format. The author outlines the stories of 61 buildings that have been demolished in the local area over the past 100 years. The buildings were a mixture of grand Victorians to humble slab and timber workman’s cottages. They range across the Europeans presence in Campbelltown and cover the Victorian, Edwardian, Interwar and Mid 20th Century periods. Modernism has much to answer for around their destruction along with the planning decisions linked the 1948 Cumberland Plan and the 1968 Sydney Region Outline Plan and the Three Cities Structure Plan that went with it. The book is available from Campbelltown and Airds Historical Society and Campbelltown Library. Read more @ The History Buff, Campbelltown Library’s History of our suburbs and Campbelltown and Airds Historical Society.